Unusable for users with astigmatism. I’ll get migraines from the dark UI using it for any length of time, and there doesn’t seem to be a light UI option. I’m sure this app is good but I didn’t realize you have to pay to listen with the screen off your better off just using YouTube red instead of getting another app. The layout is awkward, there is no shuffle all songs in library, menus are confusing. I enjoy using Google Play Music app as it's more like Apple Music. Simple organization would be appreciated with no flashy interface. YouTube Music doesn’t work with Google Home yet I have no problems with Spotify at all.Why is that? Was iffy about paying $12.99 a month for music but I did bc I got it with no ads, and other benefits... well now y’all trying to make me pay $3 moreeee dollars a month to just remove ads.. no thanks I’ll go somewhere else, y’all lost my business! !- from unhappy customer! This app is very useful because I don’t have to play playlist and hope for the song I want like with Spotify without premium but one time I use this the most is when I’m taking a shower and the ads, oh the ads. I wouldn’t mind a minute long add maybe even three but I will get 30 minute ads and I can’t skip them because I’m in the shower and I’m already done before it’s over. My only problem with it Idk if they can fix this but I find it a huge issue. More random music on the customized playlist! There’s a lot of repeats often!! 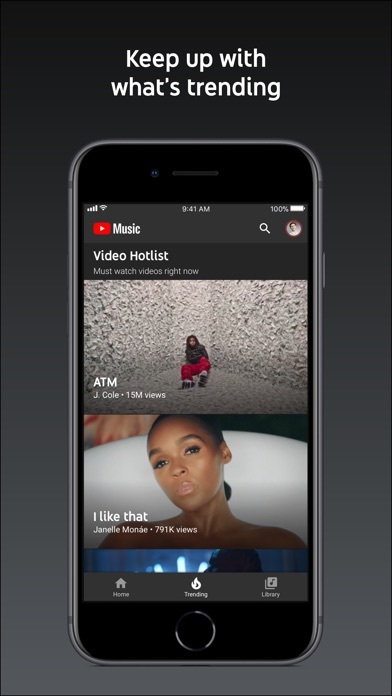 The launch of YT Music was highly anticipated but unfortunately it falls well below what I would have expected a music app to be. I don’t want to always stream the YouTube video as “music”. If I wanted that I’d just do it all off the YouTube app. This app needs to have split videos and albums in different tabs. I should be able to stream albums if I want and not rely so much on google play music, and if I want a video then I have the choice right in the app. The music should have an option to default to album or video. Second, new music should always be in one place. Every time I open the app categories are moved around. Annoying. 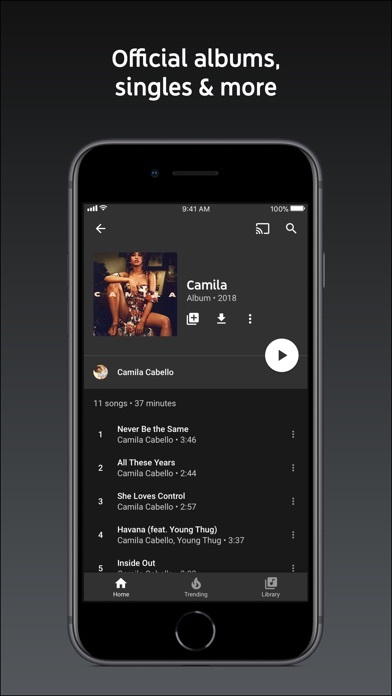 Copy Apple Music design. I love YouTube red. 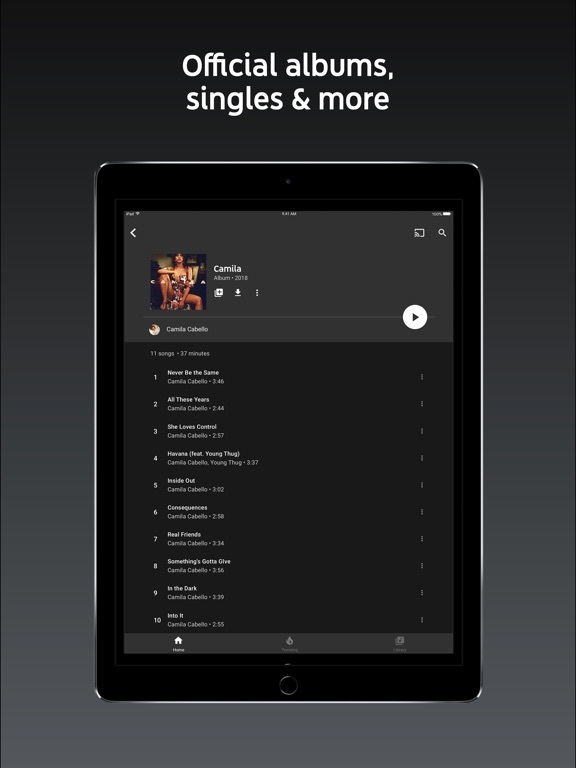 It has the largest variety of music any app as had. But it could use some work. First off it’s a little bit slow. Compared to Spotify and Apple Music at least. It is also still has some bugs, whenever I pause a song and then resume, it goes mute. When I click resume the song continues to play (the time keeps ticking on), but without any sound. I have to either restart the song or skip it to get sound again. Lastly, the way YouTube music shuffles your songs is really annoying 😂. It gives you roughly the same shuffle every time. I try to use it to avoid listening to the same songs over again but because it has the same shuffle pattern every time I end up always listening to the same songs over again. Also, as it goes through the playlist songs repeat... this DEFINITELY shouldn’t happen. When I shuffle the playlist it should go through the whole playlist before repeating songs, it begins repeating songs after the first 5-10. When you have a playlist with 50 plus songs on t this gets really annoying. I am very new just downloaded but judging from the comments it is probably pretty good. I’ve spent 2 hours transferring a playlist from Spotify to Youtube Music, expecting that I could at least play my playlists with my phone turned off (which you can’t, unless you pay for premium). Not only that but there’s still ads and videos on an app intended for music. 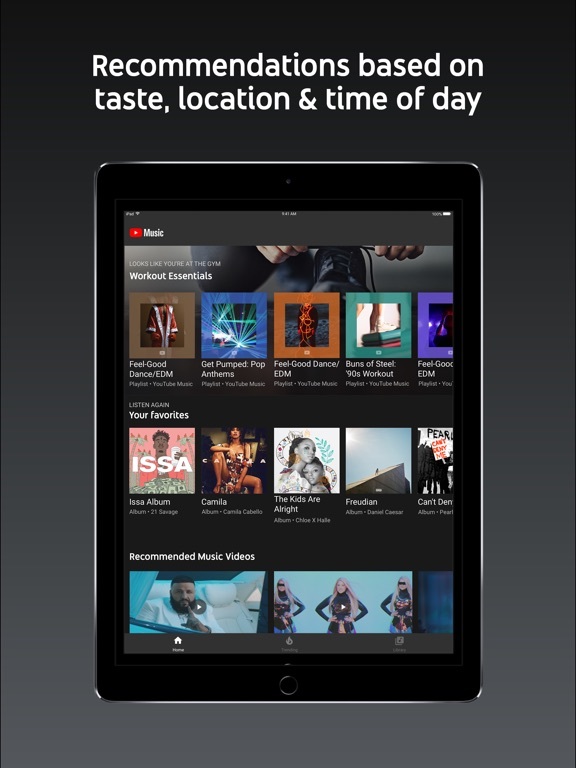 If Youtube could make a few changes so that Youtube Music could compete with Spotify, Soundcloud, and Pandora, it would be great and worth having on everyone’s device. I have tried to download 3 times, every time once I get the app downloaded, all I get is a sign in error. $12.99 is way too expensive, sorry I’ll pass! Too many free music apps that perform even better than this crash happy ripoff off an app. Its good so far, but with the recent update or just the app ends up with the app crashing and freezing. This app is clunky, wish it could also play and operate from my locked home screen. Music playback randomly pauses periodically. Sometimes it claims “playback paused because your account is being used in another location” and sometimes there’s no error message at all. This started maybe a month or two ago for me, and it seems like it’s getting worse. I’ve double checked my account, and I’m the only person logged in, and I don’t even have YouTube open. Just the music app. But it keeps locking me out mid-playback. I’m a paid subscriber to YouTube premium, but the support is nonexistent. Plenty of forum posts about problems, no solutions or even acknowledgement from YouTube from what I can see. It is very satisfying. I even deleted Pandora just to get all the music I want. So it’s going well, just . . . If I may, don’t ruin YT Music with commercial breaks. I just downloaded this app and there was a flickering sign in error at the bottom. I have tried to reinstall it or restart my phone but nothing worked. I love it. Except for the price which is a little steep for premium. Planning on getting YouTube Tv. But gone up. 50. Is a lot. Please make it affordable for everyone. We love you tube. I couldn’t be happier with this advantage of life and it comforts me when the Braves bullpen continues to let me down. DELETE IT!! -- Must sign in to use it! DELETE IT!! -- Must sign in to use it! Don't give Google (YT's owner) more info! Delete it & move on! Google music was 100x better than this in every way. Music locker features, great radio, playlists easy to manage, great sound quality. Google music was leaps and bounds better than this terrible monstrosity of a service. I have no idea why this was created when you could have taken, what I believe to have been, the best service available and just made it better and better. Because of all the needless rebranding and changes you have caused me to switch to Apple Music, which is inferior to Google Music, but vastly superior to YouTube Music. My “unlimited playlist” consists of about 30 songs in a predictable loop. Fix your algorithm please. Also, I have to restart the app several times a day because when I start a radio station or playlist it only plays one song. The skip button grays out and no action can be taken without either going out into the home screen of the app and selecting something else, or closing it out altogether and re-selecting whatever station I want to listen to. This is poor performance for the 12.99 per month I’m paying for this. I’d like to be introduced to new music similar to my tastes but it just keeps playing me the same few songs over and over. I put in about 300 artists that I liked when I set up the app, and it has played me about 10 of those consistently. I like songs to help it out, but it gives me nothing. It is an awesome music app if you have premium other than that there is an ad after every song and if you close your phone the music stops. Which makes no sense because every other music app if you close your phone the music still plays. Stupid design. This is absolutely horrible. If Google gets rid of Google Music I'm switching to Spotify or Pandora. Half the songs are uploaded by other users and are not the official versions. The result is horrible recordings with a users voice recorder at the end of songs promoting something. i absolutely love this app and i use it daily but the shuffle play is horrible. i have over 600 songs on my go-to playlist. i put shuffle play every time and every single time the same 20-50 songs are at the start of the shuffle playlist. please fix this! I downloaded this hoping it would act like iTunes and continue to play music when I click my iPod off so it wouldn’t waste battery. It doesn’t do this and so it’s exactly the same as normal Youtube. Deleting. Such a waste of time. I use this app daily, as my only music source, or at least I did until your "improvements" Now it is not even functional and have lost all liked songs and downloads. Please restore previous version! I downloaded the app yesterday. As much as I want to like this app, my experience has been poor so far. The app becomes nonresponsive quite often, and as soon as I seach for a song and start playing it, so I have to kill the app and run it again. Please fix this. The app is almost useless on my iPad. Why are my songs randomly skipping to the next song when nobody is even touching my phone 😡😡 really irritating. I like the app. I suggest that you improve it by giving it the ability to play while your phone is locked. Also, I am frustrated at how it isn't compatible with my Alexa. Which makes is hard to skip songs when I am taking a shower. Images for songs blurry sometimes. Love the CarPlay app addition but it needs more I feel like. I canceled on the billing date and I’d like a refund. It’s standard business practice to provide an immediate pro rated refund. Using this on a gigabit line with an iPad Pro. The app freezes constantly. Every time you click, it hangs. The whole screen freezes. It’s been this way for months; same issue on iPhone 8 Plus. Lately I can’t play “liked songs” without without the app freezing and crashing. I can hardly play anything without the app freezing. It’s been like this for a couple months. Honestly, there’s no point in my paying for a subscription if I can hardly use the music app. I’m going to give it until the next update, but if it’s not resolved or mostly resolved by then, I’m just going to change to Apple Music. This issue has been fixed! Well maintained.. Wide range of songs! +1 star for car play update... Feels like complete package! No audio quality (bit rate) settings or HD only on WiFi switch. Have to manually lower the quality every single song, after it has already started buffering in high quality. Terrible. Excellent at choices and recommendations too. This is a must have!!!!!!! I love this app! the only thing I don’t like about it is that I have to keep the window open. I wish I could still listen to my music while answering a text at least. The idea for the app is awesome, execution, in terms of how many hugs and issues I run into is sub-par. Compared to other music streaming services the app is just really buggy. Constantly lagging and just general weird quirks in the app. Freezes up sometimes on the IPad Pro. Works perfectly fine on 7 Plus and S8+. Never had a problem on either of those. You tube give us back our 10m views on boy with love from bts. Streaming music in the car doesn’t work well. It buffers the music for a long time and sometimes it gets stuck buffering. Luckily the paid version lets you download playlists, but the app crashes about once an hour. Songs disappear off the playlists because they are just randomly posted by YouTube users. Then that song shows up in the song searches. When the YouTuber changes something on their channel it disappears off YouTube Music. The YouTube Music search results don’t tell you the source of the song. I downloaded this app the first day it was available and it keeps improving. I’ll revise this review as things improve. GIVE US OUR VIEWS BACK!!!! They deleted hard earned views from BTS new MV Boy With Luv twice. You guys say you don’t. You guys show favoritism towards blackpink. Armys out here breaking records only for you to delete em!!! La verdad si pudiera poner cero estrellas lo haría. Tienen una notoria preferencia entre artistas. E impiden que youtubers que no les producen mucho dinero se expresen, casi que quieren que todo sea contenido para niños pequeños. Antes YouTube era mi aplicación favorita y ahora…e deja mucho en que pensar. CarPlay with this app is what I was waiting for. I dig it. I think their algorithms could use some tweaking. When I go to mix tape, it kinda plays a bunch of the same stuff. I’ve sought out a bunch of stuff and liked it, but the mix tape doesn’t pull a lot of that stuff in. Now it's on carplay and it's awesome! I had to go back and give a better review cause it was randomly crashing on me for some reason but that has been resolved. One of the best apps out. Loved the app until this new update- now it crashes on me every ten minutes or so. Please fix! At least acknowledge what you did and give us an explanation. I didn’t lose sleep for this. You need to buy the premium edition to use with carplay.What is that about? It feels a lot less cluttered. The only reason this isn't a five is because it doesn't import my albums from Google Play. That would make it great. Also let me by music that I want if it completes an album. YouTube music (YTM) has now been my go to music streaming service because it plays music I actually wanna listen too. For example, if I select a Kendrick Lamar radio station, YTM will actually play similar songs to his. YTM will play most lyrical rap songs, and will throw a few popular “rap” songs. It seems like YTM is trying to immerse you in to new music, but still give you quick access to music you actually love. The UI is also very intuitive. The UI is simple, clean, and smooth. Definitely worth the $10 a month, and I believe that includes AD free YouTube. This app does music well if you know what bands you like, but the radio feature is bad. If you pick a song or artist to start a radio with then the songs that come up tend to be repeats. Let me explain, if you pick Linkin Park to start a radio with, it will play the exact same songs as an Avenged Sevenfold radio. The app does not offer a wide range of random radio songs to listen to. Pandora does an amazing job at radio as it throws new music that you've never heard of in your playlist. I wish this app did that. If you play Kendrick Lamar then the radio is the same as an Eminem radio song list. The artists are in the same broad music genre sure but their music styles are completely different. (Almost) Better than the other guys. Theres some really great stuff here, the youtube algorithm strikes again to find me new and interesting music from both Big and Small Artists as well as some creators and remixes only found on YouTube. There’s a couple things that are frustrating though: - My Station always feels like its the same 20 songs in the same order until it starts to get different - Sometimes I’ll like a song and it will disappear from the liked playlist - The quality of the songs varies WAY too much. It’s noticeable to almost anyone. - There needs to be more customization on the home screen - You should be able to sort your liked songs to be able to make playlists from songs you’ve liked on-the-fly Otherwise I’m sure there’s some issues here and there, but the overall experience is great and for a college student at $5.99 a month is a steal. Good, but needs a lot of tlc. Music selection, it basically has everything. The app crashes randomly, it’s s a big downside. Especially for me that Ido Uber and it crashes about 6-8 times a day for no reason. User interface needs more attention, not bad, bot no good. At first this app worked great. But since the last two updates. I can play 1 and half songs that I have downloaded then the app shuts down and restarts every time. So grateful for the awesome selection provided. Always something to learn from various artists. Stops playing when you close the app of lock the screen! Every other music player I have keeps going when I do both of those. 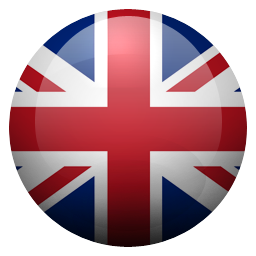 Just started and finished using this app. Hands down, this app has the most music. Nice to be able to listen to lesser known artists, covers, live performances, etc. Editing and sharing playlists on the app is really easy. One peeve of mine is that it has an option to download songs, but if you are out and have no cell service - you can’t open “library” to access “downloads” without needing internet - they should have an icon for “downloads” separate from “library” that opens right away without internet. Since the last update - it’s hit/miss with the app staying on. Before, you could lock your phone and the music would still play. Now it feels like you have to remember to trigger/wake the app to keep it on. I love YouTube music! I especially like it because I have YouTube Red and can listen to it while I’m playing on other apps. Battery draining is out of control! Will not use it, i can not forward song in a nice and user experienced manner. Hands down, the most music of any service. If it's a song that was recorded by humans it's probably in here. And will at some point come across your station. End of the day that's what matters most to me for a music service. Exposure to content. That said, the app is missing a few minor convenience features present in other similar services. My biggest peeve, no Windows PC music only mode. 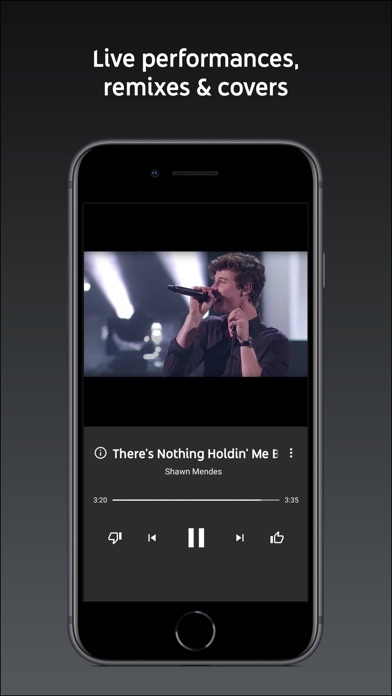 I listen to music a lot at work and would prefer not to eat bandwidth for videos I'm not watching. While in power the app has no option to keep the screen on meaning I have to unlock my phone to thumb a song down while driving. And the most minor, no way to thumb down a song that's not currently playing, gotta stop playing the current track, start playing the other one, then thumb it down. Also, why no access to comments? Why Did You Remove The Feature That Allowed Us To Find Remixes From The “More” Button? (Updated On Exp) Starting to love this new look actually. I can see the songs I enjoy replaying come up well at the top section. What was great before was tapping a track that I’ll enjoy, and wondering - what would some remixes/covered/related tracks sound like. The older “more” button or what the current “i”/“Information” button had previously done this. It was awesome! I was hooked. I could find so many great songs from other artists/DJs and so on by finding a great hit, then tapping those buttons. Now those features aren’t to be found. I don’t feel confident paying because I can get the same great hits/music from streaming services that I’ve never tried before. I was a student for all the time I’ve used it (1.5 years) as well - so I really do love the app! It’s harsh pressing the info button and seeing nothing. 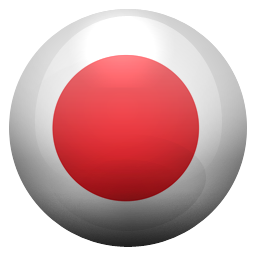 This is a great app, has the absolute biggest library(YouTube), option for video and all of this is just the early access version! Very excited to see what the future updates bring with them. Few complaints are: Remove the swipe to delete from playlists, or make it harder to trigger, like requiring a double swipe. This was an issue in GPM, still an issue here. 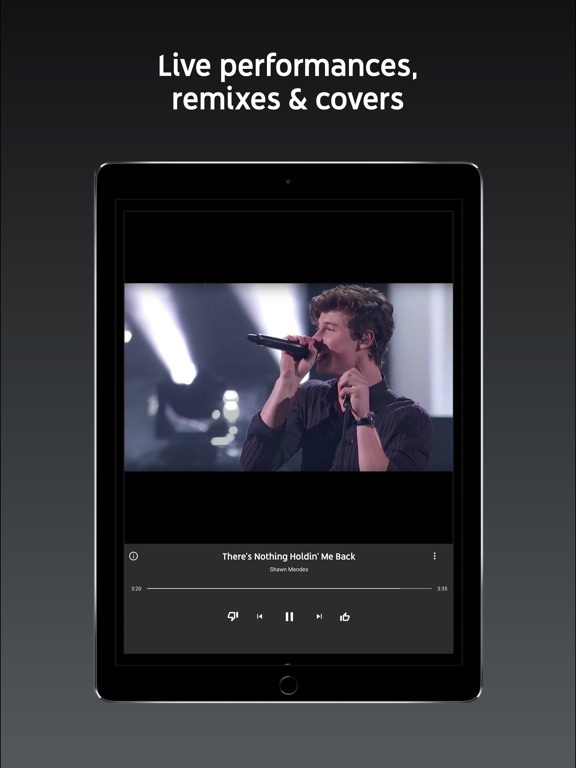 Also add shuffle and repeat buttons on the play screen and the ability to add whole albums to playlists. Other than that, keep up the good work and keep expanding the official library, as it’s missing big albums like Stoney by post Malone and 4 your eyes only by J Cole and so on. Giving it four stars will change if app changes this. I love music and listen to it most everywhere I am that I can and your music library far surpasses any I’ve seen! I wish there were a few improvements that I’ve also heard others mention and those are being able to remove a song from the music que without having to wait till it plays and wish there was a way to indicate some artists I can’t stand so they don’t sneak in amongst my jam! I also wish the app was visible on the lock screen when I’m connected to my system via WiFi the way it is when I’m connected via Bluetooth, why is there a difference on how it functions? A few tweaks by listening to your users and it would be the perfect music app! Been using YT Music for about a month now and I’m pleased 100% so far! The My Mixtape section is great; I’ve had it play several songs that I love but hadn’t listened to in a while (oh the nostalgia). There are only a few glitches like how the app responds sometimes but not anything irritating to me in the least (some slow response times that last half a second). I know they are still working some bugs and kinks out, but I’ve yet to have the app crash on me since I’ve been using it. It’s my #1 go-to when listening to music on my phone whether I’m at home or driving. Can’t wait to see what new additions we get in the future! They are slowly making this app worse. First they took away the slider that added or took away variety and now it seems like they are just trying to shove new music down my throat. I DONT WANT TO LISTEN TO THOSE SONGS. I also really enjoyed the "rediscover music you loved" tab because it was cool to see what I had listened to a year ago but in the new update they took that out for some reason. Also I used to be able to see other versions of songs and songs that were similar to that song by going into more info about it but they took that out too. That feature was pretty much the reason why I kept this app even after they got rid of other features. This app gets more boring, simple, and frustrating with every update. They should have just kept it the way it was when they first put it out. It was better that way. So previously I was able to see just songs I’ve listened to recently so I could just refresh and choose from things I know. I use this app explicitly for working out and so I don’t want to be listening to stations and random songs I’m not familiar with. The new update enforces this and I absolutely hate it. I had to start liking the songs I know I would be wanting to listen to, and it takes me probably twice as much time to find something than before. I don’t even scroll down on the main page anymore because it’s full of unwanted suggestions. It’s absolutely garbage and I want the old layout back without all those random suggestions I couldn’t care less about. It was a fantastic app, why did you have to ruin it? 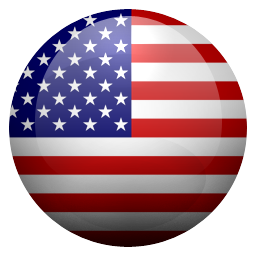 Good app overall but has many issues. The app used to have a lot of variety in the music and showed a lot of artists I haven’t heard of before. Now the app recommends the same 5 songs every time I open the app. Every time I open a radio off of a specific artist (I listen to a lot of hip-hop and rap) I hear the one song and then playlist of “popular” music. It’s the same line up of songs every time. Frustrating that the slider bar for variety has been taken away, that was a major reason for switching from other streaming services. Being able to change variety allows me to stream music longer, not getting as frustrated that I hear the same songs again and again. The music that comes preloaded into playlists plays the same songs over and over and over again with no way to remove them. Even if I dislike the song, it will still play over and over and over and over and over. See how annoying it is when it does it over and over again? Yeah. 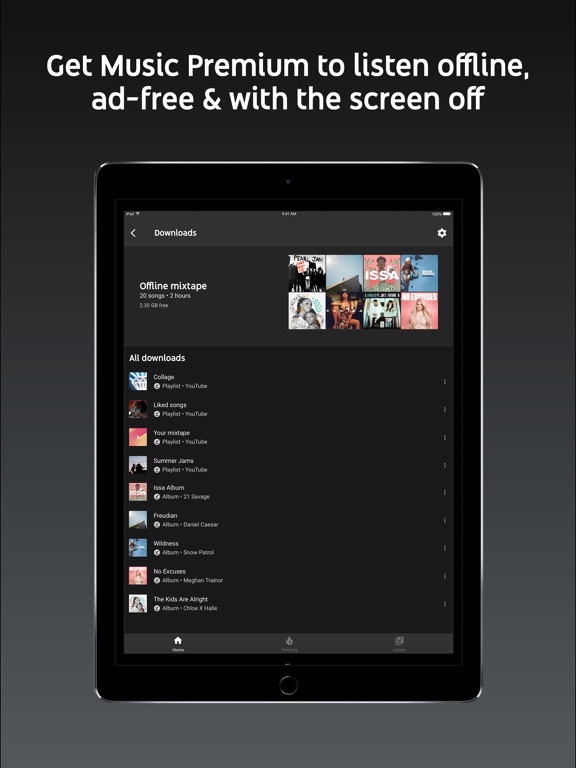 Aside from these MAJOR issues, not a bad music streaming app. I love the app, it's the only app I listen to music on. I have no problems with the app, there's just one thing I'd love to have on it for the next update, we really need a 'add to queue' or 'play next' button. I don't like having to wait for the song to end and then click on the song I wanted to listen to next, instead there should be an option when we click on the three dots on the song that will allow the song to play after the current one someone is listening to. I feel like this would really help. This application is amazing! By far my favorite app to listen to music! My one recommendation is to allow us to remove a song from the upcoming songs on a playlist created by the app. When I listen to a certain artist, sometimes I just want to listen to that artist; I turn the variety of the station off, but I still sometimes encounter a different artist. I still somehow encounter other artists songs. I would like to be able to remove that from what's playing next at my discretion. Also when I am listening to my station I encounter songs i don't really like, would be nice to be able to take them off before they ever play. Other than that, app is perfect. Also please add a visual equalizer. I wanna see something cool as my music plays. Another thing that can be added would be give an option to never play “clean versions” of the songs. I don’t listen to that garbage. Update: This application went from great to garbage. I used to love the less variety feature. Now when I am Listening to one artist I get other song’s by artist’s that I hate. I don’t want to be introduced to new music. They should of left it how it was when it was first released. One thing I’d like to see. I enjoy using this app quite a bit, however there is one thing I would like to see in a future update. Since I’ve been using Google play music for a while, I have a lot of things in my library. I’d like to see a way that we can import or at least have switched over the selections we have in our Google play music library to the library that is in the white team music app. Other than that, I don’t see anything else at this time that I would like to see changed. It’s been a pretty good app so far and in future updates I’m sure things will improve and get better. Worth it just for the ad free audio-only background playing (otherwise impossible on iPhone). The offline playlist is a nice bonus. Only frustration thus far has been when trying to resume listening after closing the app in the middle of a playlist. There does not appear to be any smooth way to resume where you left off. You gotta open the playlist and find the specific song, there it will have saved your spot. If you open it in your history it doesn’t play the playlist, just that song. So, I think that when you have the “Favorite Artist” thing, you should add a search bar so people don’t have to scroll so far to find their favorite artist. I scrolled down pretty far and still couldn’t find my favorites. And when you subscribe to the artist, and they aren’t in your favorites, you should have a way to add them to your favorites. Like maybe a heart button, or a “Add to Favorites” button. And you should let people exit the app while streaming, because sometimes people don’t just have time for streaming and they need to do other things too, but they can’t pay for the premium. Overall it’s pretty good though. App is great. Subscription fee is too much. I was a Google user back even before Gmail was invite only, or even a thing. They promised much and delivered, for free. In a world of paying for scant megabytes of email storage, Google stepped up and said well here's a full gigabyte. Revolutionized email. Now, that same company went public and it's greed went waaaay up. The company that gave away gigabytes in a $5/megabyte world is now crippling my ability to play music with my screen off, unless I pony up some cash. Update — I indeed canceled my subscription. The price is too much and the crippling of the software is too obnoxious. $12+ a month? Nah. If it were $12 as a one time cost, yes. But not recurring cost. Since the last update, every time I power on my iPad, the app icon pops up (when the app isn’t running) with the location services arrow in it’s upper right. I have paused the location based recommendations, but this is still happening. And strangely enough when I look through the app list for Location Services in the iOS settings this app isn’t even on the list. I know Google is a data thief, but I thought that if you gave your customer the option to turn off data collection, you had to turn it off. And for the inevitable “that data is not sent to Google”, if you really believe that I know of some, prime real estate I’ll sell you (swamp land next to a leaking nuclear reactor). Time to delete this data burglar. 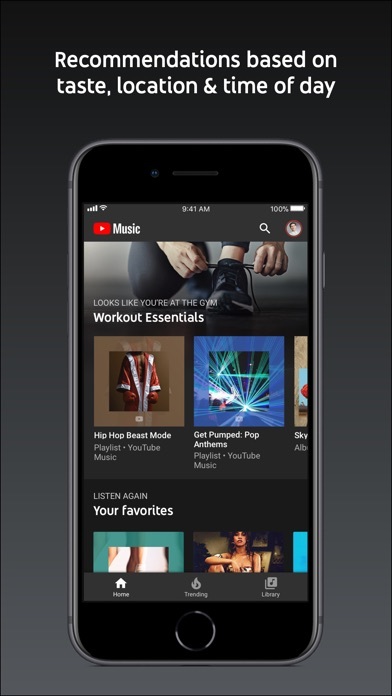 I’ve mostly been enjoying YT Music, recently switched from  Music and I have to admit I miss some of the basic features you expect from a paid service. I wish when you liked a song or album that it was added to a library that was organized by “Artists”. Instead when browsing by artist it directs you to that persons’ profile. Lots of content on the app, and the offline mixtape feature has been pretty awesome for me personally. Hopefully at some point we get a more traditional “library” feature, otherwise it’s been pretty top notch and the design of the app is good. I don’t know how such a big company could come up with such a crappy, confusing, non user friendly app. If you want to “download” music just be warned that you’re not really downloading it for offline listening. I don’t know where it’s downloading too. But then the “downloaded” music that you sat and downloaded over WiFi for hours suddenly un-downloads itself when it feels like it. And this happens over and over and over again. Then you click on your “offline listening” playlist to see what of your music you thought you downloaded is on there. And there is some... 20 minutes max... music that includes your picked songs Intermingled with nasty top hit songs that I would never listen to. I even have no ad listening and This app is awful. I downloaded this app because everyone says the music doesn't stop when you leave the app, I decided to download it and tbh was not to surprised to see it not work. The way you can make it so it does not stop audio is by buying YT Red, you can get a 3 month trial before October 31 but otherwise you would have to pay 10$ every month just to make audio stop playing which I find a waste of money. If you can afford it it may be useful but I can't afford it right now. So otherwise the only reason I would ever get this app is to shorten all the videos to music that's really it. 3/5 wouldn't download unless you have YT Red. I have been using this app for almost a year now and it’s latest update is very annoying. Normally I use YT Music on my way to school or to fall asleep to but now with the latest update (it being that ads play more often then not) it’s practically making get YT Music premium or download the songs of iTunes. And when I say ads play more often I’m talk either next on the song or two at the end of the song and then another one for the next. However this could be fixed by add a kind of ad down time, or ads stop playing after an album or song is repeated at least twice. Please please please please change it back to the Previous update. Previous update was worth paying The amount for the subscription, the latest version is NOT AT ALL GOOD. In the previous update we could see lots of songs lots of suggestions, So many categories, so many suggestions even after playing song. Before it was easy to select a song, and this latest update is so messy so confusing we don’t even know which song is playing, even after playing a song we don’t even get more suggestions like before. After the latest update I have used this app so less, I’ve almost stop using it, Please don’t let me Delete it. 1/5 stars for latest update, that too cause i’m using it since long. Please change it back, Please! U N S A F E while driving! With the increase of additional ads (usually two per song), this app has become unsafe to use while driving as the user must wait 5sec to skip an ad, then wait another 5s to skip another ad. If the user does not skip the ad, the ad itself could run as high as an hour long... followed by another ad. It is not safe to monitor a screen like that and drive. I hate to say it, but Pandora is the ideal app to use for driving as the ads are only as long as 15s and although there are usually two unskipable ads, they are less frequent. As in, not after EVERY song. Personally, this used to be a great app for the gym or road trips. Now its the best in ensuring you do not enjoy it unless you subscribe to Red. Could always have improvements in areas such as with accessing downloaded music, tbh as appreciated of a feature it is, it should be customizable so in that it's immediately accessible at the home of the app from the start, for those whom use it almost exclusively for said music offline downloading feature access. What I'm trying to say is it should be instantaneously accessible to use offline music. 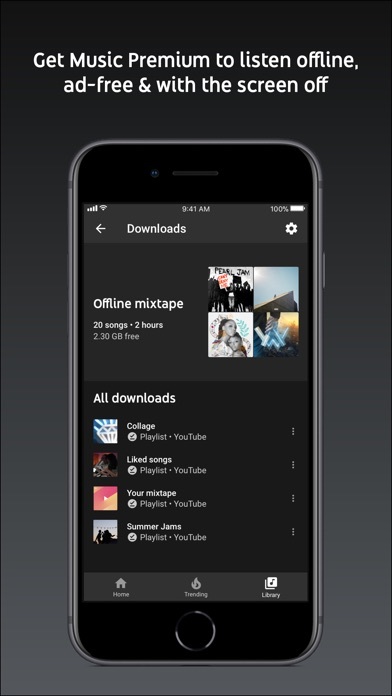 Maybe even a separate app for downloaded music. Idk. I love this concept from YT & I recommend it to anyone willing to listen to me. But recently whenever im on Bluetooth the music automatically stops playing. First I thought it was just my car but it happened in my dads car then even with my Bluetooth speaker. Its frustrating when I’m driving & the music stops playing. I have to unlock my phone, open the app & press play to get the music on again. Idk about you but if you’re on the highway at 60+mph the phone is the last thing that should be a persons hand. Fix it please or ima just have to find something else. My playlist freezes mid-video online & off, since the last update in early March. Sound cuts out, video freezes and the cycle begins again throughout the vid. I've tried deleting & reinstalling the playlists and individual songs but the glitch still occurs. Please fix! Also, the ability to jump forward & backward 10secs was great. Bring it back? Great app, wonky update. April update WORSE. Still freezing music app w/vids & sound going out. Now it tells me my "account is being used in another location" when it's not or just goes to black screen & says "video not available" & claims it's switching to next video but just freezes. I pay money for this?? Went and manually put my library together amd it's missing a few albums. Which means I'll need Google Play to supliment for that. No point in an app like this if I'm still gonna need Google Play to fill in the cracks. Should have a way to sync personal libraries between both apps. I also wish I could add music (which it should already have, considering it's already availavle on Google Play) by uploading it like you're able to on Google Play Music. From the sounds of it, Google wants people to transition from Play to this app over the next few years, but it doesn't seem to be going in that direction based off of what I've seen so far. #1 - Where are the lyrics? Other premium services have... #2 - I’d like to see a “song” menu inside the Library containing all songs I’ve added from playlists, albums and artists automatically. I don’t want to have to like all songs I listen to. #3 - When I click in song, it just pop up in full screen and start playing, and I have to come back to the previous screen to continue viewing my songs or other playlists I want. Basic features missing... what makes me think about change to another service. I like everything about it... almost. 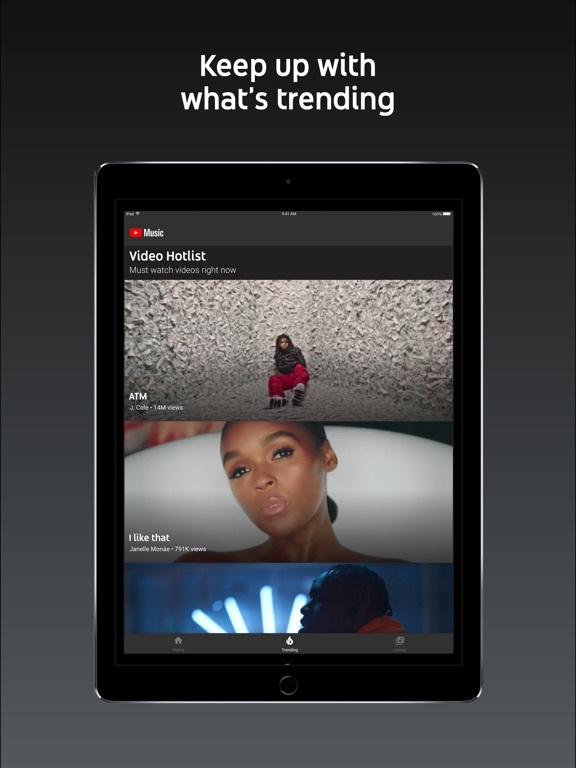 It is really nice to have the option of music only and music video. Playlist are easy to setup. It has a great selection of pre-made stations and customized stations based on what you like or listen to. Downloading music is great to have which also brings its greatest weakness. Since the menus seem to be based on a decent connection, offline music in a dead zone is impossible. If you can’t access menus to select offline music that can be annoying. Since the songs are on the device. Please change this google. I have used every music app there is. Never, has one introduced me to so many new artist (that I ACTUALLY Like). It’s super convenient to make custom playlists and has a great mix. I can always find what I’m looking for! You’re can listen to your favorite song or album as many times as you want or start a song station based on one track. You can pick how much diversity you want in your random playlists! The options are limitless. Okay, I absolutely ADORE this app. I love how you can listen to any song you want to, and with unlimited skips. I have only ONE minor problem: you can’t listen to it when on another app. I mean, that’s why the app is free, I know, but maybe, you can keep it so that you can listen to it with the app not on the screen, and trade that out for unlimited skips on specific radios. This is ONLY an idea, but I hope you can take this into consideration. I adore this app, keep up the good work!